Despite the fact that 1 in 7 Americans if food insecure, every year, American consumers, businesses, and farms spend $218 billion a year, or 1.3% of GDP, growing, processing, transporting, and disposing of food that is never eaten. That’s 52 million tons of food sent to landfill annually, plus another 10 million tons that is discarded or left unharvested on farms. Food waste occurs because of low market prices and high labor costs, which makes it uneconomical for farmers to harvest all that they produce. There is currently a lack of streamlined technology in the agriculture industry to provide accurate information that is timely and useful to industry operations. 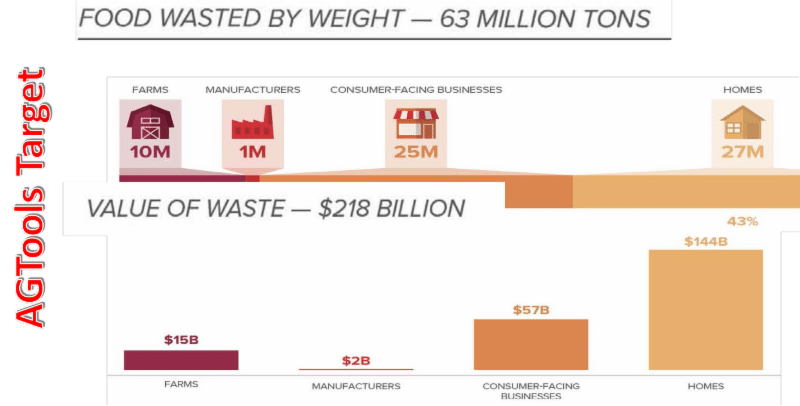 AgTools hopes to reduce the amount of food that is wasted and increase sustainability by bringing new intelligence to the agriculture market. Their system employs real time information and statistics regarding time, cost, supply, demand, and more throughout the food supply chain and aims to optimize the economic results of all stakeholders in the industry but addressing the major communication gaps that exist between farmers and retailers. Their proprietary technology incorporates all levels of business operations from farm production to various stages of logistics, suppliers and buyers for Tier I, II or III and provides alerts and information that will directly benefit and influence decisions in the industry on a regular basis such as weather patterns and consumer trends.